If you attended the April TPOA meeting, once again it can be noted that a new tone of participation and transparency is in the air and there is definitely some change in how the board views the property owners they were elected to represent in attendance. Whereas in the past property owners were considered insignificant and irrelevant to any decision-making process much less participation during the meeting, there are now opportunities to ask questions, seek answers and have a board member actually respond with something other than “I don’t know and we’ll look into it”. Unfortunately, some things just can’t be overlooked. As has been reported repeatedly in previous blogs, in social media discussions, and on other platforms about what is legal or not in our development, the board believed they could do a “special assessment” if necessary because the by-laws that THEY created which none of us officially voted on to approve, stated they could do so. Repeatedly and previously in various discussions the board has been told by more than one resource they were not able to do anything more than raise our assessments by 10% annually which is clearly outlined in our deed restrictions. And yet, as the board neared the finish line in obligating our neighborhood, our commonly owned park and all property owners to an approximate $1.5 million dollar plus interest loan to build a new clubhouse, the bank they chose to work with (not a local one at that) asked as a part of their underwriting requirements for the legally binding means to be able to levy a “special assessment” should it be necessary during our loan obligation with them due to a loan default or lack of ability to meet the monthly obligations to repay the loan. From someone who has worked in the financial lending industry for a number of years, if a lender is seeking additional collateral and reassurances that the loan can be repaid, it believes the borrower may not be the best candidate financially, may not have the financial resources to make them a solid candidate for borrowing, and are looking for additional security to ensure they get repaid. Our financials, as you have all seen during the whole club house build process, have gone through redo after redo after redo because of errors, misstated information and monetary misstatements. The board oversees the preparation of the financials and where the money goes. Shouldn’t they have a handle on those numbers and know them clearly before they begin the lending process? Could that possibly be one reason why a bank might think that we might not be a good candidate for a loan? building social programs has taken precedent over business operations of the neighborhood. Before anyone decides to send me hate mail or shoot arrows my way, please know that I love a good party just as much as the next guy and I believe social activities bring a neighborhood together. However, the focus of the TPOA is not to establish our social health but rather to handle and manage the business of the TPOA on behalf of its property owners. That means budgeting, saving, best use of funds, prioritizing necessary repairs and maintenance, etc. Social activities fall to the bottom of the list of what the board should be focusing on. Do you all remember attending meetings with audiences asking questions about business matters only to have a blank look from former Presidents and their teams with no answers or a look at the Spectrum rep in attendance to answer the question? Shouldn’t the board know the finances, where the money goes, etc.? The board, this board, has known for some time now they could not legally levy a special assessment for any reason because our deed restrictions state clearly the assessments can only be raised by 10% per annum. Let me restate that: Our deed restrictions allow for only a 10% per annum increase period. Our deed restrictions rule our property ownership, not the bylaws created out of thin air which no property owners voted for or against. Yet they considered it a possible option because the by-laws they created stated it was a potential option they could undertake with their ruling authority. Statements made at the meeting indicated that legal interpretation sided with the deed restrictions in the inability to levy such an extra fee. The last blog about the clubhouse raised the question why we aren’t all asking for a HALT on the forward movement of the clubhouse build given the mistakes, the miscalculations, the mismanagement, and no fiscal accountability. The utter lack of investigation and understanding by the board of the problems that we would be facing in attempting a new build in the park prior to undertaking such a huge endeavor is undeniable. Like permitting with TCEQ, the county, fire and any other agencies involved in our neighborhood’s use of its park. In planning such a large investment/expense for our neighborhood, shouldn’t the board have spent time prior to obligating funds in several directions which have now largely been wasted to determine what it would take and how much it would cost to actually build? One example with regard to permitting is the flood plain which exists in a good portion of our park and particularly around the clubhouse area and how it impacts where dirt can be moved, etc. The board was warned of this pitfall and told of several others which awaited them as they decided to build a new club house. Instead of listening to educated members of the community that were attempting to help avoid extra expenses and unnecessary problems, the board blazed forward spending money on master park plans, design plans, architectural plans, fees and permits, loan fees, application fees, etc. all to now be not only wasted, but apparently we will be starting over once again. More money wasted! Property owners – it’s time to say STOP!!! It’s time to insist on an oversight committee of property owners who have the knowledge, the experience and the expertise in managing, building and financing a project of this stature to ensure it is done properly and is financially solid. It’s time to have independent thinkers at the table of management who actually want to manage the BUSINESS of the TPOA! I don’t mean board members who have had more than enough time, and plenty of learning curve opportunities which seem to have been ignored, to sit on this committee. I mean unaffiliated property owners who live here in Timberwood Park and can offer a well rounded perspective on the entire project. Maybe it’s even time to revisit the vote process and determine how the neighborhood feels about the project at this time given the money we have wasted thus far and the lack of progress we have made in the process due to mistakes, inaccurate information and lack of knowledge of the business aspects of the association. Generally speaking, not focusing on the business aspect of the TPOA has cost us considerably already. Why not put it out to the property owners to determine where they would like to go now that we have been turned down for financing? As has been said before, we should be capable of saving the bulk of funds necessary for the project without needing to finance such a large obligation if we manage our funds properly and stop using them unwisely. Sacrifice those “extras” that money is spent on while we ensure the maintenance and upkeep of the existing assets of our park remain intact and operational and allow a building fund to be saved to “make it happen”. Property owners speak up! It’s your money! A property owner sent this link to me providing helpful information from the TxDot meeting held 3/28/19 regarding traffic congestion on Blanco at 1604. TxDot will create a Diverging Diamond Intersection (DDI) at this intersection. Construction is scheduled to begin in the fall of 2021 and will take 2 years to complete. The cost is approximately 38 to 43 million and will be paid with state and federal funds. New directors took their positions: Karen O’Neil – President; Chris Martinez – Vice President; Paul Rutkowski – Treasurer, ACC Liaison, and Secretary; and the remaining board members Directors. It should be noted that neither Ricky Gonzales nor Shawna Klein were in attendance for this important initial meeting and vote of new board positions by board members. What was profound about this meeting was that for the first time since the inception of the Owners Association turnover board in 2011, a true business meeting was held. Discussion did not focus on the next big social event or activity, but rather the business operations of our association. Among the notable changes were transparency, open discussion, financial disclosure, a state of our owners’ association financial resources, a full discussion about the upcoming clubhouse build—the budgeting, how the newest proposed capital improvement (the clubhouse build) will impact our operating budget and so on. Audience (property owner) participation and questions were met with responses from the board not typically heard by those asking the questions previously. The standard “we’ll get back to you” or “we don’t know the answer to that question” were no longer apparent and effort was made to respond to questions from the audience regarding the numbers and information being presented rather than stall off the question to meet what used to be the 1 hour meeting adjournment standard. A new board member, one who was not considered a sure thing to be elected because he stood alone in thinking, amongst those candidates elected, that transparency and better accountability was owed to property owners took the floor. Paul Rutkowski briefed a thorough, knowledgeable and a surprising financial report to the audience which was not only enlightening, but eye opening. Actions taken by the previous board resulted in unsuccessful legal decisions which caused a substantial increase in our insurance premium and insurability which were not budgeted. Paul laid out a completely transparent report outlining our financial history, our current financial state, the state of our finances when we begin the start of construction for the clubhouse, those fees, items and expenses which are incorrectly accounted for or not properly allocated in our financials, and so on. The report was stunning in its detail and was not unlike similar accountings which have been brought forth by previous audits performed by other property owners not on the board in recent years who were seeking to determine how the annual budget was allocated, where our money was going, and why the numbers just didn’t add up on the financials. In fact, Paul reported much of the same discrepancies and concerns that were voiced previously confirming what has been a concern for some time now. We don’t have a handle on how our money is being spent! Paul conveyed that our past treasurers had not done a thorough job providing the type of accounting that the neighborhood has been asking for, that our board has not been actively involved in the business operations of the neighborhood, but rather allowed Spectrum to “take the ball and run” and handle all the management aspects of the community when it comes to the business operations of the association. With the exception of planning the beloved social activities our neighborhood is blessed to have available to it, there’s been a fairly hands off participation by the board when it comes to ensuring expenses are appropriate, budget line items are met, and the monies collected by Spectrum for their management fee and additional expenses for which they can bill are reasonable, founded and accurate. Further, the financial planning for the upcoming clubhouse build has not been thorough, did not consider any contingencies, change orders, other expenses, or the increases to overhead that would occur during and after the build. Floated as a potential revenue increase to the neighborhood to offset the deficits created by the clubhouse build would be the increased revenue from rental of the clubhouse with its new amenities. While that’s good “hopeful planning” that increased revenue would occur from rental fees, there is a limit to the expansion of revenue that can occur given we have a closed number of participants who might be renting the clubhouse — namely property owners. Should the idea being floated to rent out the clubhouse to make more revenue mean opening it to public rentals, we then open the door for the park to potentially become a public park, our revenue to be potentially taxed, our park property taxes to increase considerably as the park becomes a commercial venture and oh by the way…..the property owners will still be paying for the use and wear and tear the public will inflict on our park through their continued assessment fees. How does that benefit property owners? Remember, we have a private park for property owners, owned by property owners and not intended to be open to the public. Our social events already bring in traffic from surrounding neighborhoods, San Antonio population and elsewhere due to the amount of advertising and other social media traffic touting their existence along with our open gate, no checks and balances to ensure property owners are able to utilize the park policies. Think about the traffic, the overhead expenses which will increase, the liability we expose ourselves to as the owners of this currently private park property, among other things by opening rental of the clubhouse and grounds to the public at-large as well as continuing to hold open gate events which anyone can attend! Nothing was projected to offset the overhead and budget deficits should rental revenue not come in on a level that is anticipated, or in the alternative, other expenses became apparent which were not budgeted for. There are not currently enough funds saved to cover both the continued reserves necessary for functional obsolescence and end of useful life for our existing amenities as well as the projected additional overhead costs which will occur with the new facilities even though we have had 7 years of opportunity to save in planning for this eventual capital expenditure. The board has not planned effectively for the eventual increase in budgetary expenses the clubhouse build will bring to the operating budget. We bring in income each year if everyone pays their assessments in full of $681,000 +/- (this is money collected annually — you cannot count the money in the reserve account as operational for the budget — it must be set aside. If you look at the previously approved budget it was counted as a means to say we have those funds available to expense). Paul’s proposed 2019 revised budget presented during the meeting shows a reduction in cash flow of (-$295,000.00+/-) – yes you read that correctly, (-$295,000.00+/-). depreciation for 2018 and previous years not included. Depreciation amount shown in the P&L presented by Spectrum was ($73,130.00) when in reality; the amount should be ($153,982.00). insurance expense increases due to loss of current policy and new policy costing considerably more again due to the decisions made by the board which then turned into lawsuits which were lost. The budget the old board presented to property owners in October of 2018 for 2019 which was approved by board vote, not property owner vote, set expenses at $765,000 +/-. The proposed revised budget Paul presented with the necessary expense changes, additional clubhouse costs and payments not previously accounted for now sits at $976,660 +/- ….why didn’t the proposed budget approved in October 2018 include the monthly loan payments we will begin to make this year? Click here to see Paul’s proposed 2019 budget information. Loan payments will last for the next 10 years unless we accelerate payoff at some point. That means the budget will be impacted for the next 10 years. Of course, if we accelerate payoff, we need the additional revenue to cover doing so. Where will that come from? As a business owner and a long-time property owner in the neighborhood, I could not believe the board is planning to begin the destruction of the old clubhouse and the build of the new clubhouse without the proper financial keys in place to make the project a success much less fundable without a sizable assessment account increase. And on that point, please understand the assessment account fees can only be raised by 10% each calendar year, not some arbitrary figure that the board tries to throw out in the future as a “special assessment” to meet the shortfall our budget is facing with the new clubhouse build. This is clearly outlined in our deed restrictions….no increase of assessment account fees can be made in excess of 10% per annum. So this year that would mean $21.70 per assessment. Does that equate to cover the loss outlined above when you multiply it by the 2,600 +/- assessments collected? Is this good business practice? If you owned this business, would you keep moving forward obligating your investors (property owners) to the mounting debt and obligations without a solid plan in place to cover expenses and justify the costs? Wouldn’t you think it smart business practice to put a pause on the process and regroup before moving forward? Do you recall the Owners Association meeting this past year where one of our now previous board members stated to the audience after a property owner asked if there would be an increase in our assessment fees to cover this clubhouse build? It went something like this – this board won’t raise your assessments to build this clubhouse. Do you also remember the follow-up statement which went something like this – I cannot predict what another board might do, but we won’t raise your assessment fees? What the board did not tell you is our annual assessments will be pledged to the lending institution as collateral for the loan. This could restrict the amount of money for the reserve fund, maintenance of other capital projects and yes, even the beloved social events which have become so popular. The lending institution will ensure it receives every penny it needs to maintain the debt servicing before it allows another dime to be spent in our neighborhood on anything else. 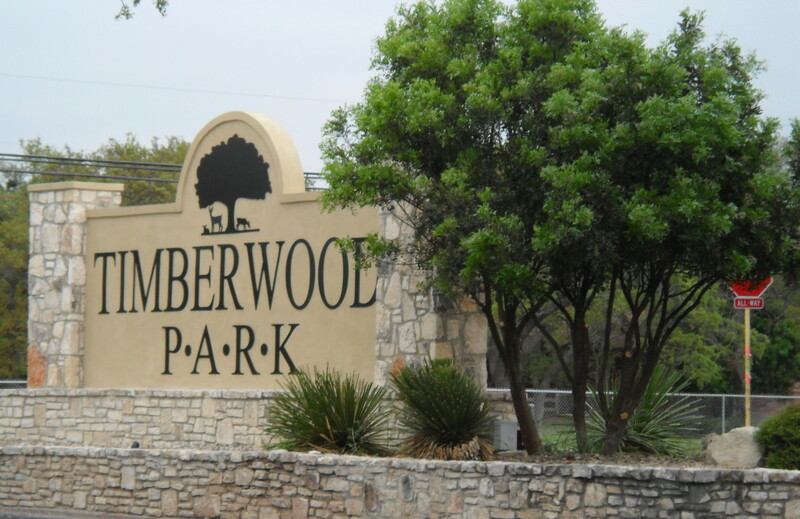 It is important for each property owner in Timberwood Park to understand that the association is just that— an association of property owners who have been assigned the developer rights that existed in our neighborhood under the developer’s jurisdiction. Those rights were to collect, manage and spend the mandatory assessment fees which are levied against each property owner in Timberwood Park to maintain the common areas of the neighborhood along with providing architectural control according to our deed restrictions. Our deed restrictions clearly outline each of these rights in each unit of the neighborhood and the Partial Assignment of Developer Rights clearly outlines these rights being transferred to the Timberwood Park Owners Association. There are no other rights or legally binding ability for the board to operate under. Owners, it’s time to say STOP and Re-group. I am not advocating to completely scrap the build of the clubhouse, but where’s the emergency and rush necessary? I am advocating to “pause” the project until such time as the benchmarks are in place to ensure a successful project and not obligate the owners of this neighborhood to excess debt and assessment account increases just because the board is in a hurry to get the project going. Just a quick reminder the deadline is coming up to turn in absentee ballots for the annual TPOA board elections. Be sure to cast your vote for the candidates of your choice by 1) mailing in your absentee ballot before deadline time, 2) giving your proxy to a neighbor you know plans to attend the meeting to cast a vote on your behalf, or 3) attend the annual meeting and vote yourself! This year there are new candidates and 3 spots open to fill so make your vote count! Happy Thanksgiving to all my neighbors and friends! IN ADDITION TO SEEING SOME AND/OR ALL OF THE PROSPECTIVE CANDIDATES AT THE UPCOMING HALLOWEEN EVENT WISHING TO SAY HELLO TO EACH OF YOU PLEASE PLAN TO ATTEND THIS 1st EVER HOA CANDIDATE FORUM! One of our HOA candidates has made the effort to put together an opportunity for property owners to “Meet-the-Candidates” at the Timberwood Park Clubhouse! Please mark your calendars and plan to attend to learn more about the candidates running for office for your HOA! You are cordially invited to participate in a “Meet-the-Candidates” meeting/forum at the TWP Clubhouse on Tues. Oct. 30th starting at 7 PM. I have reserved the clubhouse and the overall plan for the evening is to allow each candidate 12-15 minutes to present our platforms and answer questions from the HOA members. The idea is to provide an opportunity for HOA members to be better informed about who we are as well as learn our positions, thus providing an opportunity to make better decisions on whom they want to vote for. There are nine candidates and my hope is that each candidate will be able to attend! And of course, we all want YOU to attend as the property owners casting votes!!! In an effort to allow the process to be random and objective, I suggest that we candidates draw names from a hat to see who presents, 1st, 2nd, etc.. I hope you all can make time in your schedules to participate. THIS IS A GREAT OPPORTUNITY TO LEARN MORE ABOUT YOUR CANDIDATES!!! PLAN TIME IN YOUR SCHEDULES TO ATTEND THIS CASUAL OPPORTUNITY TO MEET THE CANDIDATES!! !